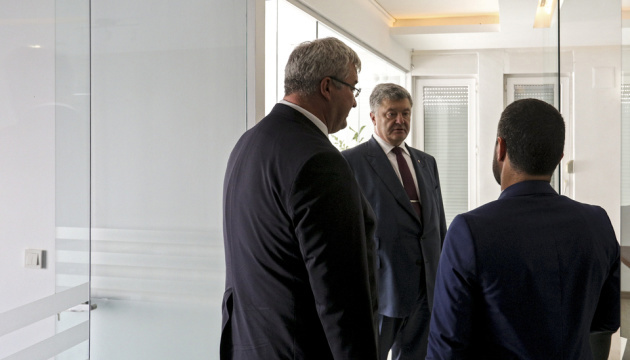 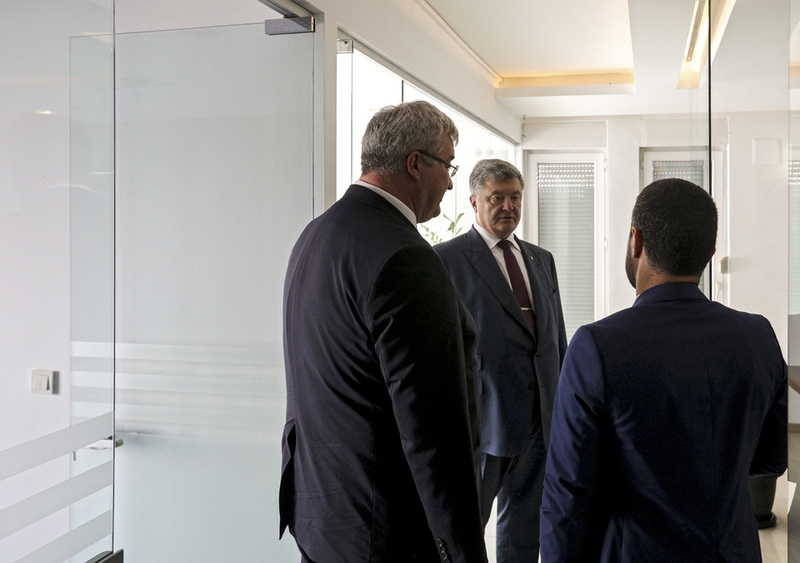 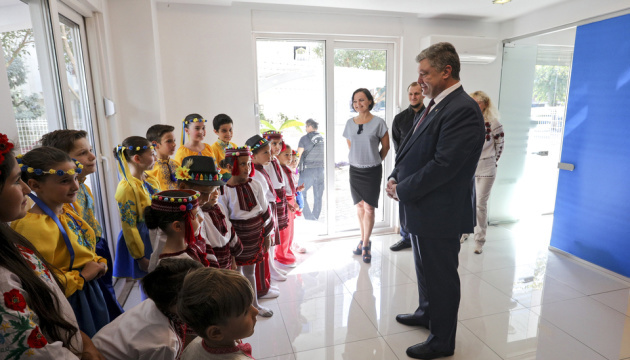 During the official visit to the Republic of Turkey, President of Ukraine Petro Poroshenko took part in the solemn opening of the Consulate of Ukraine in Antalya, the president’s press service reported on November 4. 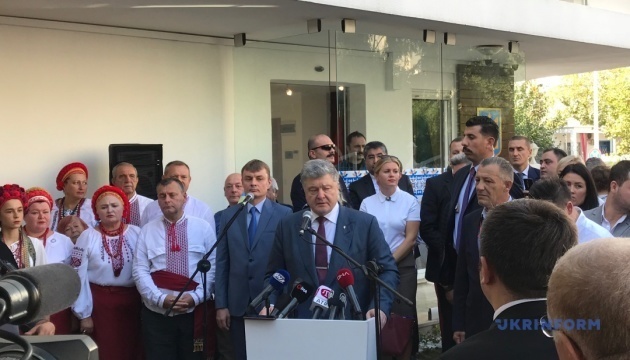 “I am very glad to be here today because I am the first President of Ukraine who comes to Antalya on the occasion of such an outstanding event - the opening of the Ukrainian Consulate in Antalya. 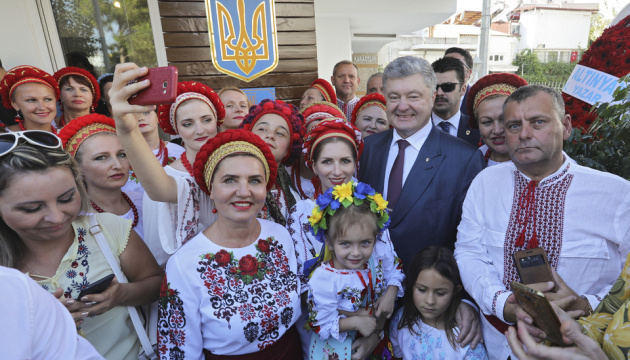 Look how modern and beautiful it is. 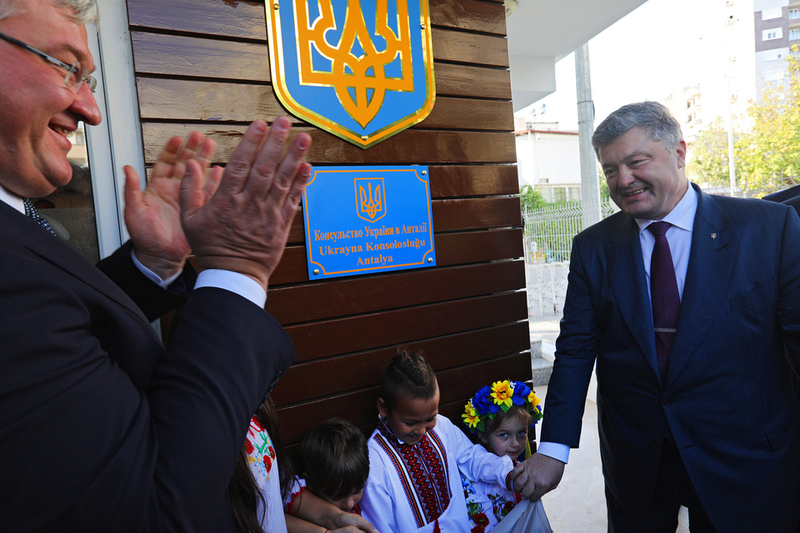 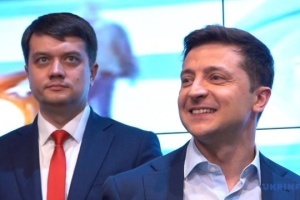 This is a symbol of the fact that this is one of the first priorities for the Ukrainian state," he said at the opening ceremony. 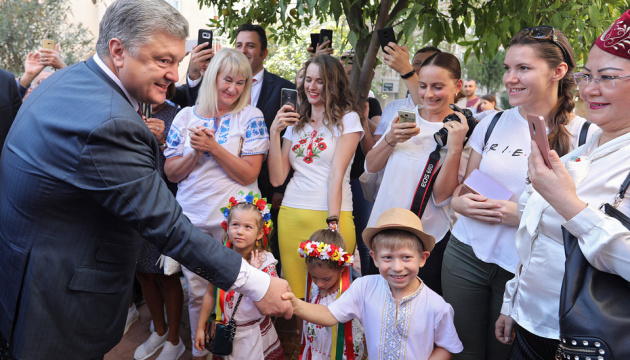 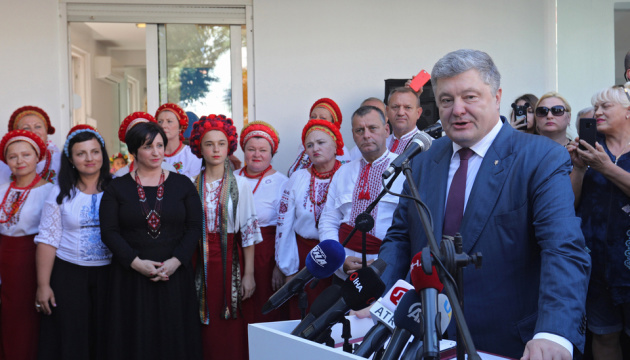 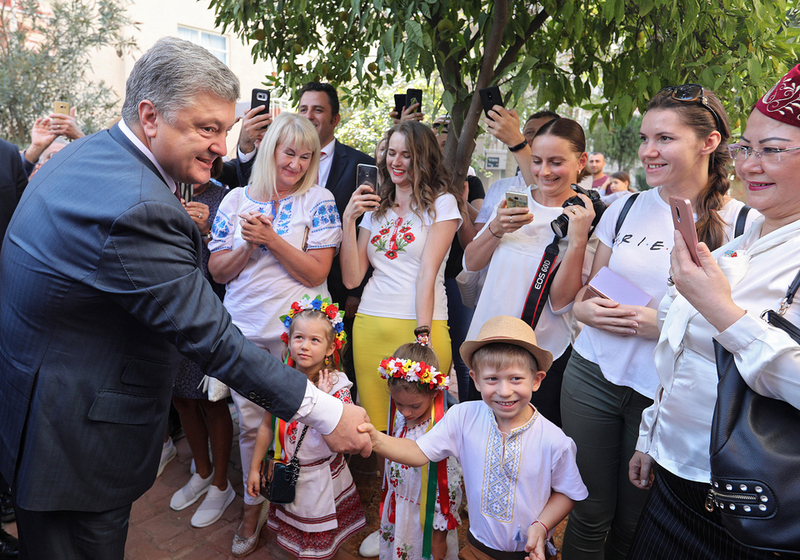 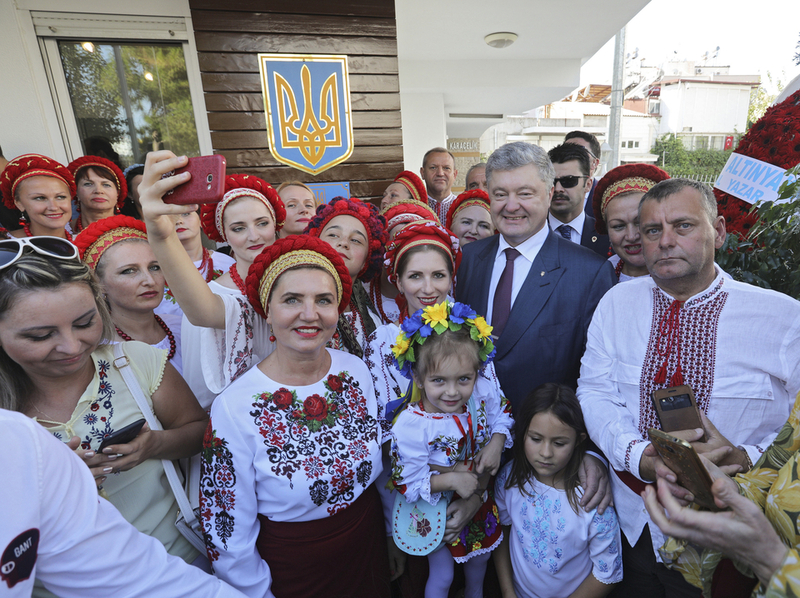 Poroshenko stressed that every year more and more Ukrainians visit Antalya, and the opening of the consulate will unite the Ukrainian community. 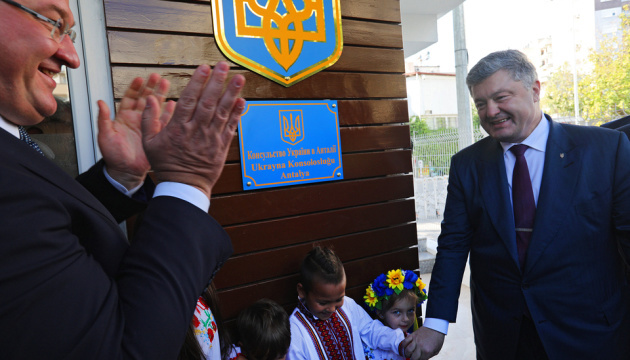 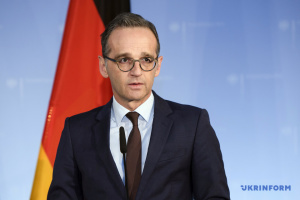 “Every Ukrainian arriving in Turkey, Antalya, should feel the state's concern. 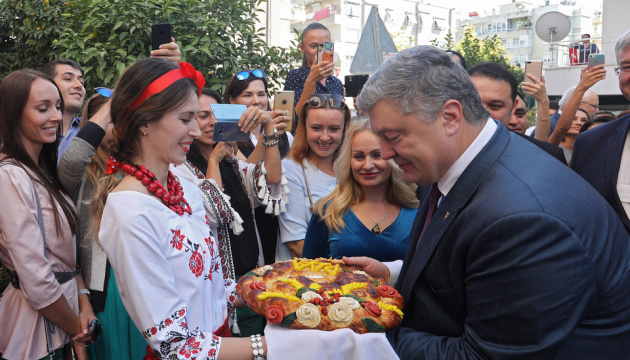 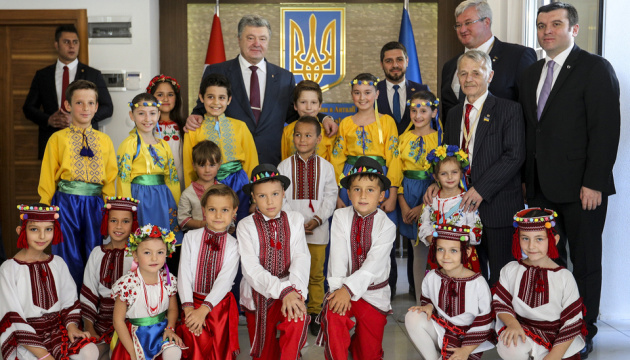 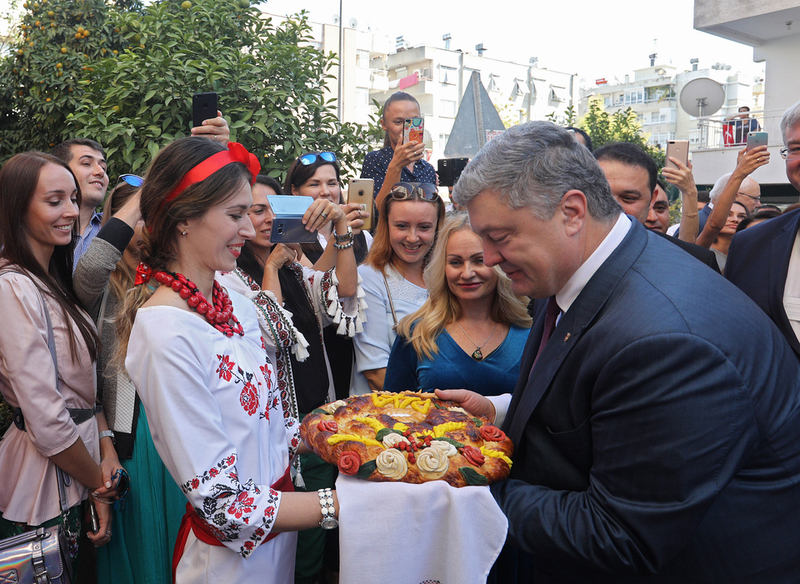 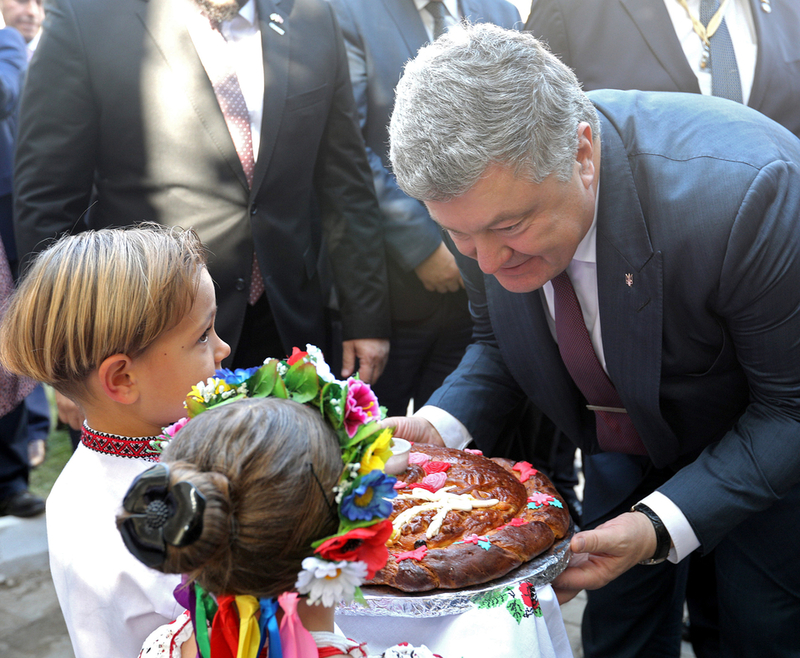 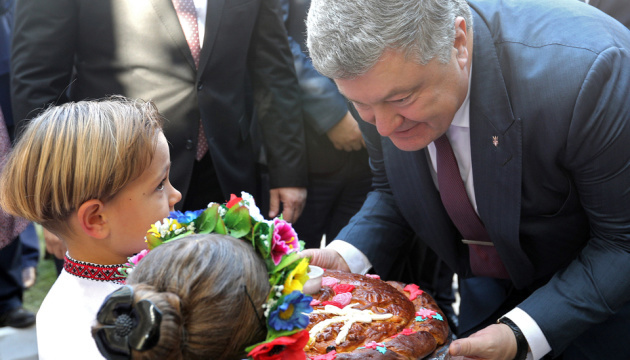 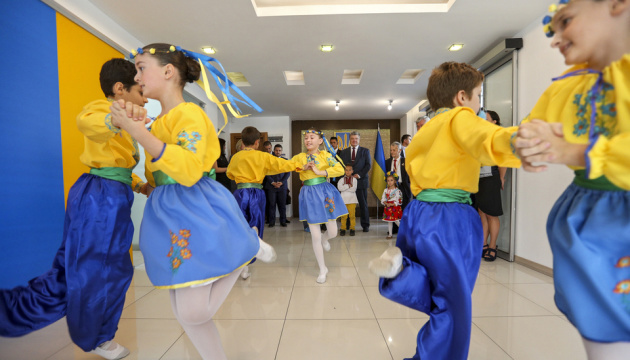 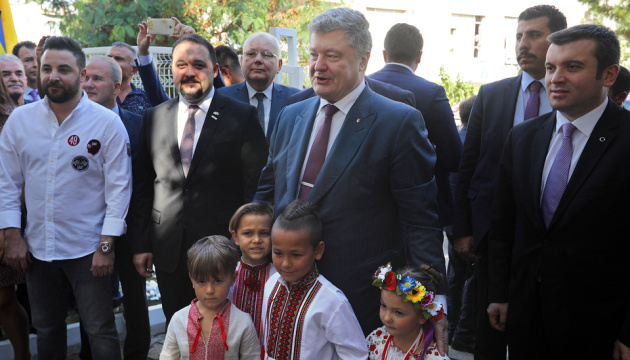 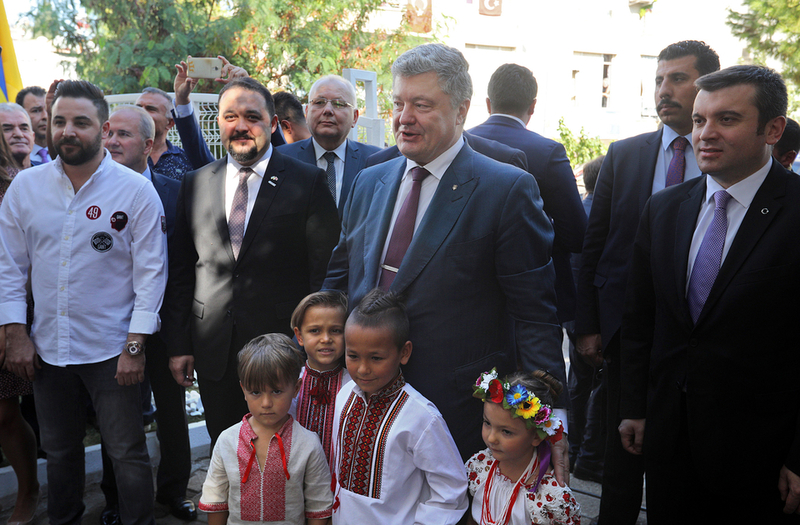 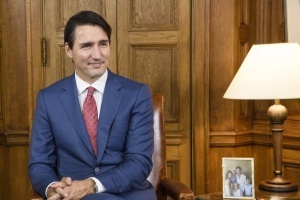 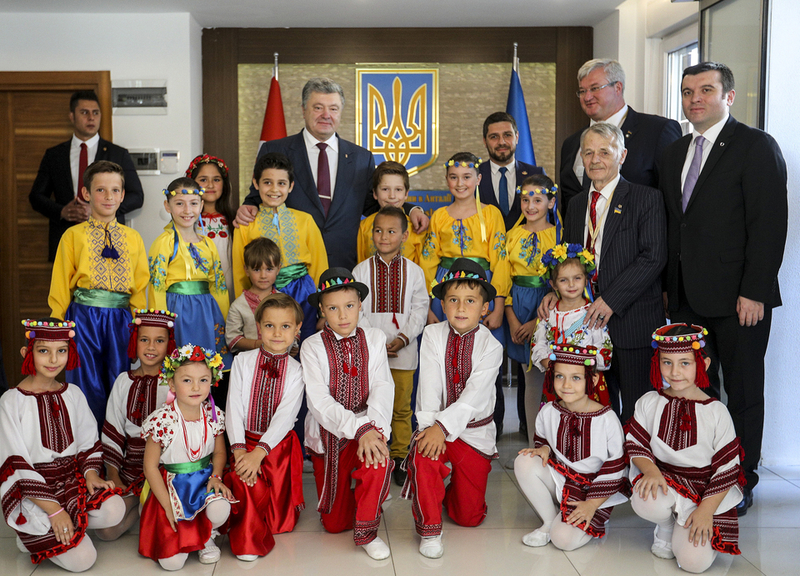 Every Ukrainian living in Antalya should feel the state's concern…Here Ukrainians could meet, unite, discuss joint events,” he said and thanked the Ukrainian community for keeping the Ukrainian traditions and culture. 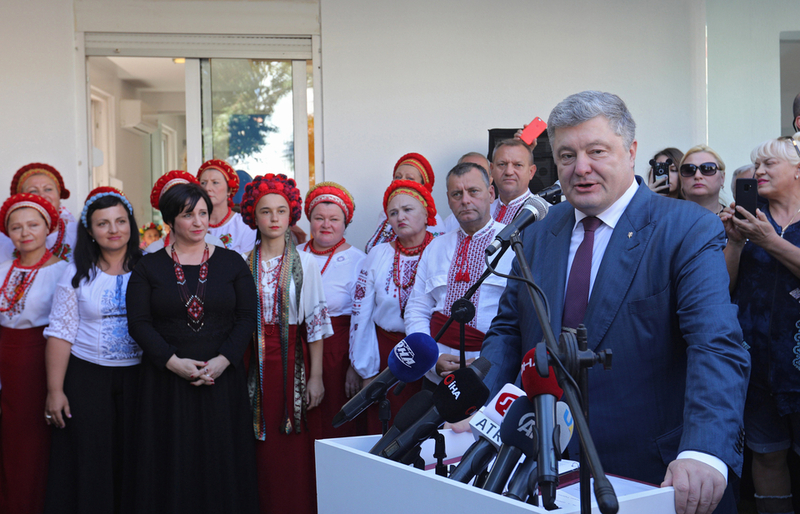 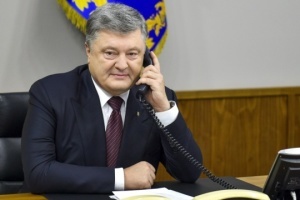 As reported, President Petro Poroshenko was on an official visit to Turkey on November 3-4.